I spent the past 12 years pursuing that mission and mastering emerging technologies so I could tell the stories of the people of the forest – the indigenous people, the anthropologists, the activists – about why we should care about the Amazon. Now, that journey is coming full circle, and I want to invite you, members of my beloved tribe, to join me in Brazil for the World Ayahuasca Conference, which takes place October 17-22, 2016 in Rio Branco, Brazil. The World Ayahuasca Conference is the first conference ever where leading ayahuasca researchers and activists will be joined by indigenous leaders and regional Brazilian anthropologists. Some of my beloved indigenous friends will be there, speaking about the issues around the globalization of plant medicines and why we – the nawas – should care about the people of the forest and their fate. Leading researchers will share their findings on the latest scientific advancements and share the latest legal and political developments around the globalization of ayahuasca. Not only will this conference be epic, you will have the opportunity to have a life-changing experience of Brazilian Amazonian culture. Here are 8 reasons you should consider going to the World Ayahuasca Conference if you have been profoundly touched by this plant medicine, owe your life to this medicine, and want to make a bigger difference. Peruvian curanderismo is what most Westerners tend to relate to when thinking about ayahuasca. Due to the rise of ayahuasca tourism, it is considerably easier to experience Peruvian ayahuasca culture than Brazilian. Many indian tribes in Brazil use ayahuasca, and while there are similarities, drinking medicine with the Brazilian tribes is a totally different experience. For one thing, I think the music is better. It’s different. Peruvian icaros are shamanic songs and chants with specific purposes. Brazilian ayahuasca songs are the songs that everyone can get into, learn and sing. Check out this video of my friends singing a modern version of a traditional rapé chant, with guitar and drums. This video alone has gotten 150K+ views and I can tell you, it’s from people trying to learn how to sing the song themselves. There will be unofficial ayahuasca ceremonies happening around the conference, organized by other groups. Looking at the lineup of incredible indigenous leaders and shamans who will be speaking at the event – several I have sat in ceremony with, and whose villages I’ve visited – I’m pretty sure that a multi-tribe ceremony will occur because these shamans have co-hosted ceremonies together before. Ninawa Pai da Mata, a Huni Kui shaman from the Kaxinawa territory of Upper Humaitá. Haru Kuntanawa, a Kuntanawa indigenous leader and shaman, who has hundreds of medicine song. Haru is on the right, his father is on the left. Shaneihu Yawanawa, son of the cacique Biraci Yawanawa of Novo Esperança. The Yawanawa Festival will be taking place the weekend after the World Ayahuasca Conference, so try to . Rapé is traditionally consumed in a ritualistic way. This is because the medicinal plants used to make the rapé blend are considered to be both sacred and healing. 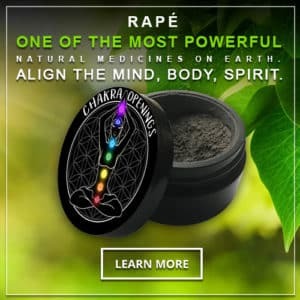 Also, depending on the specific blend of medicinal plants in the rapé, the experience can range from fragrant, to highly stimulating, to totally psychoactive. The art of sacred rapé making has been been passed on outside the tribes, so that you will encounter groups of non-Indian rapé enthusiasts all over the Brazil. The epicenter of rapé connoisseurship is Acre. In addition to indigenous shamans, members of the Santo Daime churches and other non-Brazilians also consume and produce rapé, improving methods of production and storage. In Rio Branco, you will have a chance to sample different types of rapé and bring some of the best rapé home with you. The World Ayahuasca Conference will showcase AYAFILM 2016 – the 1st film festival about Ayahuasca. Catch the best current selection of feature and documentary films about ayahuasca, like the Embrace of the Serpent. If you are a healer, therapist, or plant medicine facilitator, at the World Ayahuasca Conference, you will have an opportunity to attend a 4-hour course called ‘AYAHUASCA HEALING: Screening, Preparation, Integration & Psychotherapeutic Support’ offered by experts Tanya Maté, Draulio De Araujo, Rafael Guimaraes Dos Santos & Marc Baños Aixalà. What’s even better – This 4-hour workshop is a free event, exclusively for ayahuasca practitioners, psychologists, psychiatrists and other health professionals. This workshop will be in English. In Rio Branco, you will have an opportunity to get your face painted with 2 vegetable dyes – urucum, and jenipapo. Urucum is a red paste that comes from Achiote (Bixa orellana) seed pods. This washes off. You may even forget it’s there and be frequently reminded by strangers doing double-takes at the airport. You will receive invitations to visit indigenous territories, that are actually off-limits to foreigners. Let me repeat that. You WILL receive an invitation. At the end of a gathering like this, there will be at least ONE, if not MORE, invitations for visitors to travel backcountry to the restricted indigenous territories as a guest of the tribe. Travel to indigenous territories is officially off-limits to foreigners. In other words, if you tried to go their yourself, FUNAI – a.k.a. National Indian Foundation, Brazilian government body that establishes and carries out policies relating to indigenous peoples – would never give you a permit. Also, there is no public transportations and no hotels. So even if you were resourceful enough to hire a boat and provision yourself, the village would turn you away. But if you went as a guest, someone in the tribe would be organizing transportation and accommodation in a villagers house. And when you are accompanied by a tribal member, you won’t get hassled by authorities or Policia Federal. The annual Yawanawa Festival is in the village of Novo Esperança, about 10 hours by motorized canoe from Rio Gregorio, which is about an hour outside of the city of Cruzeiro do Sol. There will be loads of people going, so hooking up with a group of foreign or Brazilian travelers is fairly easy if you are a sociable person. However, why not go with your new friends from the World Ayahuasca Conference? The Yawanawa Festival is a celebration of Yawanawa culture / 5 day ayahuasca ceremony. Yes. There is a ceremony every night where you will have the opportunity to drink ayahuasca. You will be amazed by the 98 year old elder shaman Yawa, who is often the last one standing after a night of singing and dancing. Are You Coming? Please Post Your Questions and Comments Below!